Support the school garden by purchasing your garden fertilizer from the school's Green Thumbs stall at Bonbeach Farmers' Market. 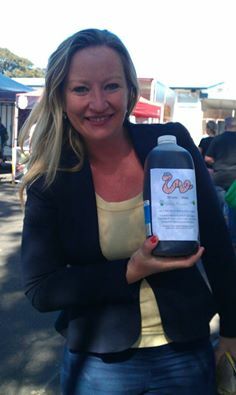 Our liquid garden fertilizer comes in a recycled 2ltr milk bottle that the children save and recycle. 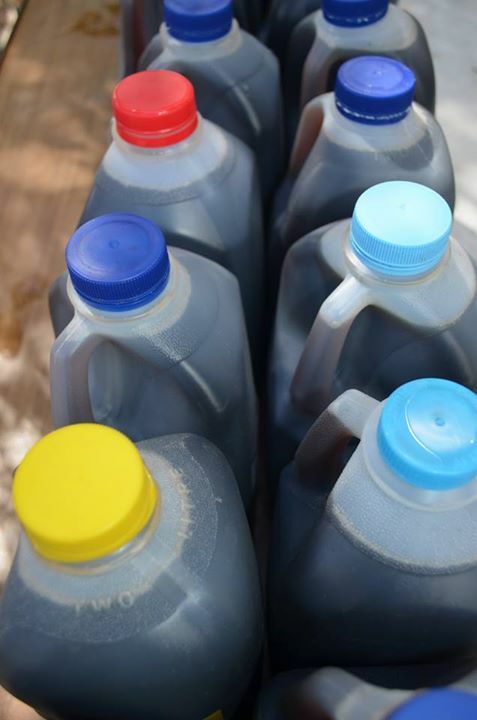 The bottles are filled during gardening club by the students. 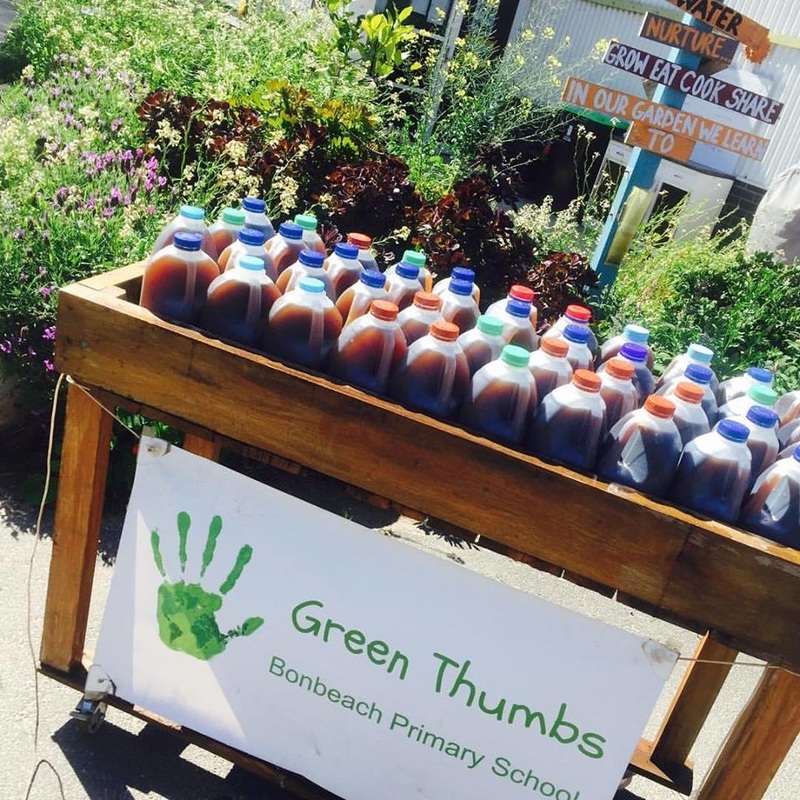 All proceeds go into the garden to purchase items such as gardening gloves, tools, sunscreen etc... for the students so that their garden is a fun, safe place to be. We collect lots of ingredients for our compost and not just from the school. A variety of ingredients come from the wider communities small business' as well. Every classroom has a compost bucket in which they fill with fruit scraps, these are emptied daily by the compost monitors. Egg shells are collected from the schools Farmers Market Egg & Bacon roll BBQ. the shells are crushed and half put into the compost and the other half get scattered around new seedlings to stop little critter's eating them. Greenhouse Juicery supply us with all their fruit and vegetable pulp! This is amazing as it is the perfect composition for the worms to get stuck into and break down quickly and easily. Coffee Grinds are collected from Little Olive Cafe at every Farmers Market these go straight into the worm farm to help with nitrogen in the compost. 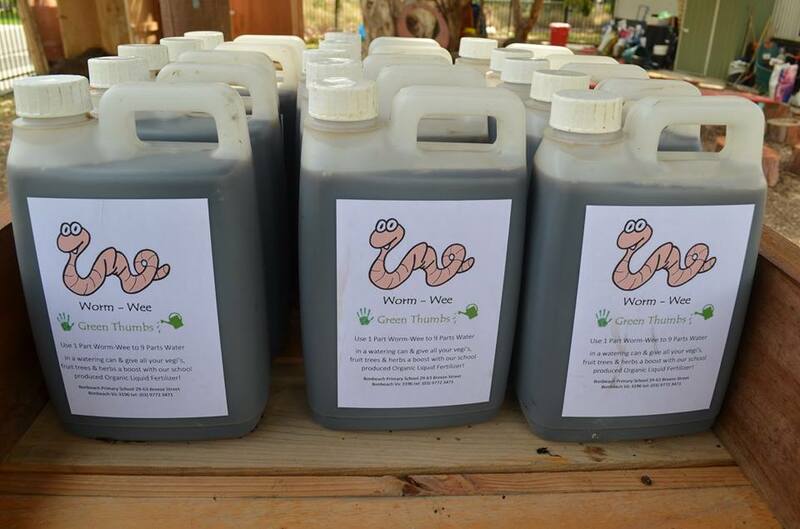 Our Worm Wee is stored in recycled 2ltr milk cartons. The cartons are donated from families and Freddie from Marina's Pizza in Carrum also donates their weekly milk bottles from their coffee shop . Chicken poop and laying hay/recycled paper is also added to the worm farm. We keep a wet layer of recycled cardboard over the compost and under the shade cloth. This keeps it dark and moist and the worms like to breed inside the corrugation of the cardboard. 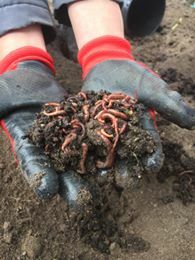 Once a month the compost is turned over to make sure the worms are making the most out of the ingredients. The liquid is collected from from 2 drain holes at the bottom of the farm into drums, from this we filter out any worms that may have fallen through and then put the WORM WEE into the recycled milk cartons. The composted matter is mixed into the schools veggie beds. Where does its come from? it comes from our schools worm farm. 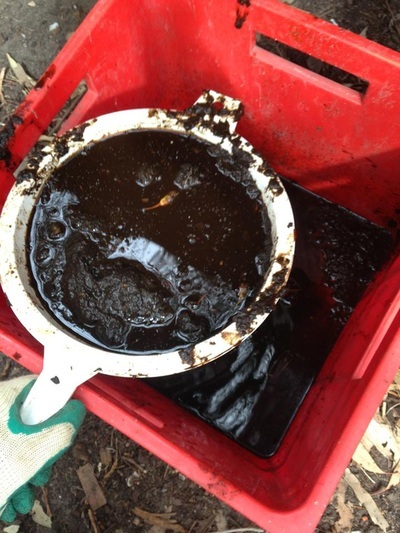 the students place their organic ,matter into an open air compost, once it is slightly decomposed it is transferred to the worm farm where the compost worms do their work and break down all the matter into compost and the liquid that is released is caught in drums underneath the worm farm. It is then sorted for worms and unwanted matter and the clean liquid is poured into bottles. 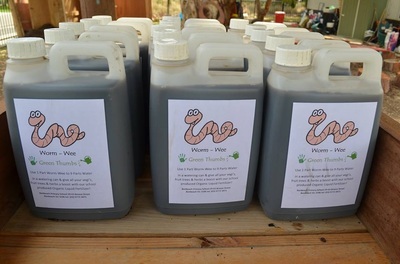 dilute 1 part 'WORM WEE' to 9 parts water in a watering can and use as a complete garden liquid fertilizers. once you have diluted your liquid fertilizer water it onto all your garden plants. Fruit trees, vegetables, native trees & shrubs. They will thank you for a good dose of organic nutrients they need to grow.